Although many homeowners have heard of window flashing, you certainly aren’t alone if you don’t know exactly what it is or why it matters. Window flashing is, in fact, an incredibly important component of the window installation process. It is also one of the reasons you should always allow a professional to oversee window installation jobs in your home. If you, as a layman, improperly install flashing, you could find yourself dealing with a host of problems in the not-too-distant future. It’s best to avoid this possibility altogether and hire an expert from the start. 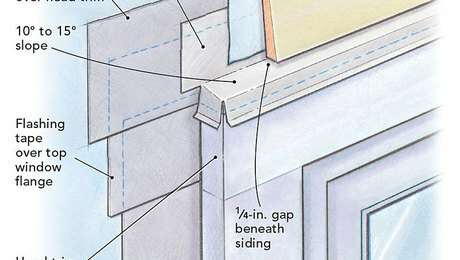 In this guide, you will discover the basics of window flashing. 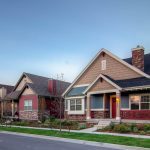 Although this guide will not make you an expert about windows and their parts, it will certainly teach you what you need to know to have an educated conversation with a contractor or a window salesperson. 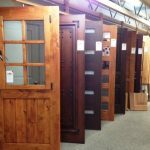 By the time you’re done reading, in fact, you should feel significantly more confident about your ability to discuss new window installation. What exactly is window flashing? Flashing, which is not only used in the installation of windows, does not look fancy. It is a thin, flexible substance that is used to waterproof windows, chimneys, roofs, vents, and even decks in some cases. Flashing can be made from a variety of materials, including rubber, acrylic, stainless steel, and aluminum. All of these have pros and cons, so you should talk to your contractor about what is best for your project. Window flashing is generally hidden and is not visible once the installation process is complete. Due to this, it doesn’t matter what the flashing looks like as long as it is high quality. How can I tell if my window flashing is being properly installed? There are numerous warning signs you should be on the lookout for if you are worried about your contractor improperly installing your new window flashing. One telltale sign is to watch for your installer cutting “x-marks” in your house, wrapping the windows, and shoving them into place. This will absolutely lead to water damage, and you should fire the contractor on the spot. You should also take note if you notice a contractor attempting to wrap your new windows from the back. This tactic can also lead to significant water damage problems down the road, so again, make sure you fire anyone who is attempting to do this. Properly installed flashing allows water to move downward, rather than toward the interior of a house. There is a specific method that should be used to accomplish this on windows and doors; it involves tucking house wrap on all sides of a window and taping it securely with flashing tape. Any other technique will probably result in water damage at some point. The team at Hatch Homes takes great pride in what we do and will always perform projects, including window installations, correctly the first time. We have years of experience behind us and are proud to have satisfied clients throughout North Carolina and South Carolina. We look forward to hearing from you soon.